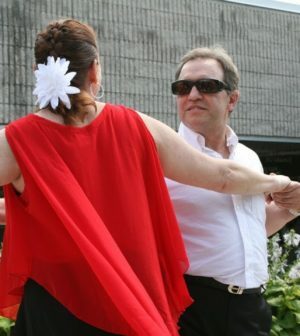 Richard J. Welland is a Ballroom Dance student at danceScape. He has dedicated nearly 35 years of his life to the speech-language pathology profession. He has worked clinically as a staff speech-language pathologist, speech-language pathology manager, and private practitioner, and continues in the latter role today. Although his clinical experience is most extensive with adults who have acquired neurologically-based speech, language, cognitive-communication, and/or swallowing disorders; he also has considerable experience working with adults who have voice disorders.